Japanese car manufacturers have always represented fuel-efficiency and dependability, with Honda being no exception. With the introduction of the compact Honda Civic in 1973, at the peak of the US 1970’s energy crisis, Honda became a household name synonymous with superior engineering. Honda’s are known for their longevity, with proper maintenance and care, Honda automobiles and motorcycles can last for decades. 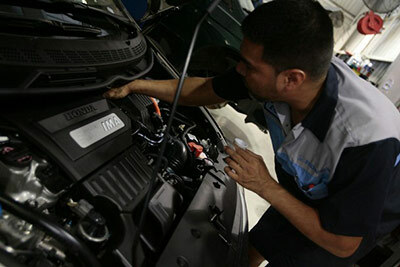 Come on down to Ayers Automotive Repair in Santa Barbara for all your Honda repair needs. Our team of ASE Certified Technicians are prepared to fix any Honda Repair issue quickly and efficiently to keep your Honda running smoothly for years to come.